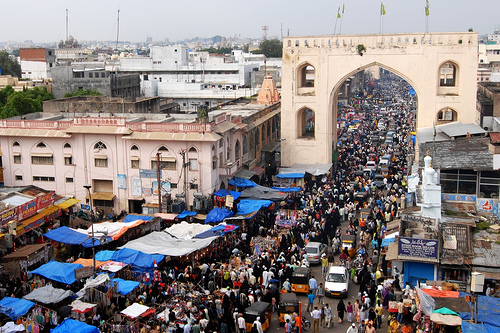 A view of Hyderabad. Photo by pangalactic gargleblaster. As India’s urban population mushrooms, and its expanding middle class develops a voracious appetite for consumer goods, including personal automobiles, its residents have tasted both the sweet and bitter fruits of development: higher living standards but a degraded urban environment scarred by congestion, poor air quality, and deteriorating public space. It’s an unsustainable path which must be altered if India is to maintain its booming economy and continue to lift millions of people out of poverty. This is a very exciting time for India. Can strong policies to promote public transport shape the development of India’s cities? Or will efforts by the private sector to produce and sell super-cheap cars to car-hungry Indians prove too powerful for the government to overcome?